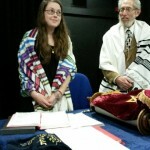 Saturday 13 February saw a very special event for Kehillat Kernow, that is the Bat Mitzvah of Liz Berg. Liz is an accomplished shaliach tzibbur (prayer leader), so one might have asked why has she decided to be Bat Mitzvah as an adult. Before the service began, she gave a moving account of what had led her to this moment. Liz has spent her life fighting with determination, but also with tact and respect for the elders of the congregations she has belonged to, for the right of women to take a full part in the Jewish service. 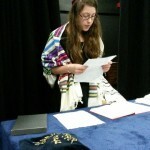 She feels she has achieved this right here in Cornwall and so decided to mark her sixtieth birthday with the Jewish coming-of-age ceremony. The parsha (Torah portion) for the week was Terumah, from the Book of Exodus. Terumah means offering, or lifting-up, and tells how the Israelites freely offered up gifts to God to enable the building of the desert sanctuary which they were to carry around with them for forty years. They were wanderers but God dwelt amongst them. Liz certainly lifted up her voice as she intoned the Hebrew text with great skill and melody. 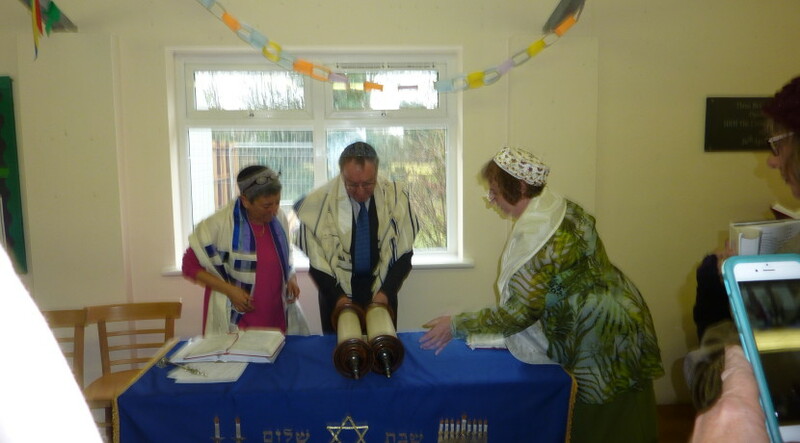 There to offer her gentle support was Rabbi Laura Janner-Klausner, who travelled down to Cornwall to lead the service. The congregation were treated to a great Shabbat gift, as Rabbi Laura offered up her own voice and wisdom to everyone there and we all followed, recited and sung the songs and prayers of the service with renewed understanding and feeling. After the service, Liz put on a tasty lunch for the congregation which was enlivened with much conversation. Is there anything new under the sun? It seems so each time. 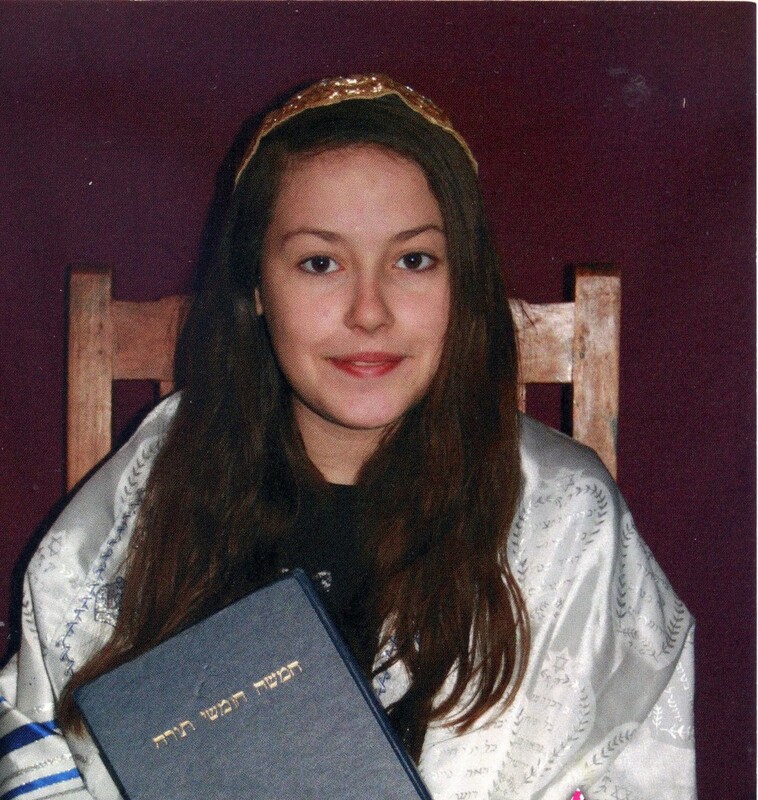 Congratulations to Katharine Barral on her Bat Mitzvah on Saturday, 20 December 2014 – Shabbat Channukah at the Piran Theatre, Truro High School for Girls. 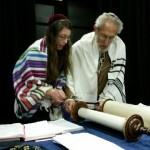 The service was conducted by Harvey and Katherine read beautifully from the Torah Scroll.